Repeat citations are nothing to take lightly, especially when they involve workplace hazards and worker safety. The Occupational Health and Safety Administration exists to ensure that employers provide a safe, secure work environment and respect the rights of their workforce. While OSHA enforces its regulations with regular inspections and facilitating communication between its officials, employers, and employees; compliance is an exercise in trust, and all too often that trust is broken by unscrupulous companies. Case in point: Gaspar, Inc. An Ohio-based boiler manufacturer, Gaspar, Inc. has been cited on multiple occasions for workplace safety violations- seemingly intentional. The initial violation was in reference to the manufacturer’s on-site machinery. A number of their machines were found to be missing essential guard railing- essential to protecting worker’s hands and fingers from amputation or laceration. But OSHA hasn’t just stopped with a harsh description, and rightfully so. The proposed citation fines for these violations totals $112,000 and Gaspar, Inc. has been placed in the Occupational Health and Safety Administration Severe Violator Enforcement Program, which allows OSHA to make repeat, targeted follow-up inspections on a more frequent basis. There are ot many companies I feel deserve such penalties, however in this case it is fully warranted. A company cannot take employee safety as lightly as Gaspar, Inc. has, and OSHA is not afraid to take drastic measures in enforcing regulations. When companies put profit in front of safety, severe penalties may help to drive the point home. As part of the Occupational Health and Safety Act of 1970, every business must provide a safe working environment for its employees, and a willful, flippant violation is more than just negligence, it is a complete disregard for safety and a potential threat to worker’s lives. 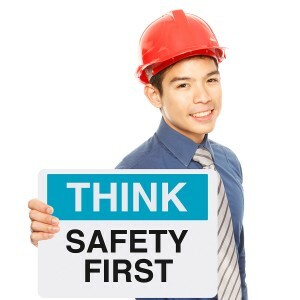 OSHA-Pros, a safety consulting company, exists to help companies provide proper training and compliance with all OSHA standards and safety regulations. Employers must comply with these standards, as must employees. A full training regimen for the work environment at hand is essential. Our ten-hour general industry course and 30-hour general industry course are both highly applicable to businesses such as Gaspar, Inc.